Power Display offers a full, bespoke, digital printing service. We can provide printing on all substrates, can print banners, flyers, business cards, posters, and even billboards. We have a design team ready to create your artwork if necessary, and we can then print this design onto your posters for your a-board or poster display products. 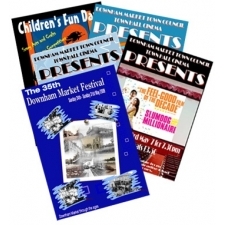 We can produce small quantity printing, right through to large quantity brochure printing. Please call us today to see how we can help.